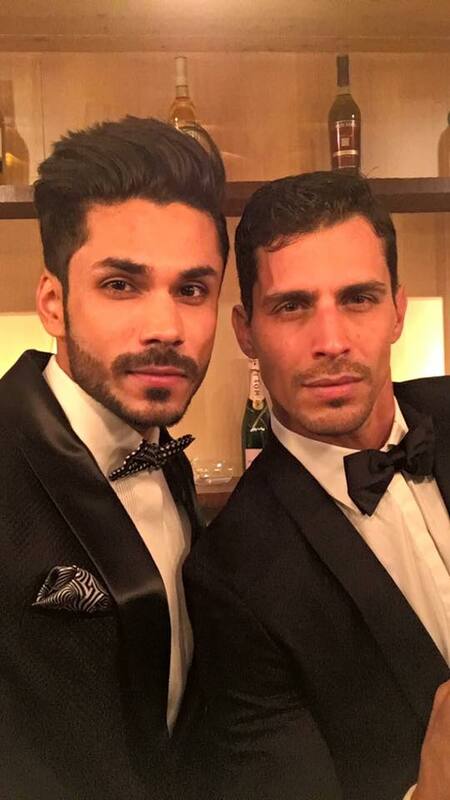 Mudit with Mr. Model International Winner 2015 winner, Melvin Roman from Puerto Rico. Mudit Malhotra of Delhi has won the title of Mister India International 2016 in Gurgaon, India on 25th April 2016. Mudit succeeds 30 years-old Halley Laithangbam from Manipur as the representative of India at the prestigious international male pageant. Mudit is from Delhi but has been based in Mumbai. He has studied public relations and marketing at the Amity University. Mudit Malhotra will now attempt to win the prestigious Mister International 2016 title. The finals of the pageant will be held in Bali, Indonesia. The reigning winner Pedro Mendes from Switzerland will be passing on the title of Mister International to his successor in the event. On average, about 30 men participate every year in the pageant which was formed in 2006 and is based at Singapore. The winner of the pageant stays in Singapore during his reign. Winning this pageant is a “big deal” because it is one of the three main male pageants in the world, other two ebing Mister WOrld and Manhunt International. Mudit Malhotra must put his best foot forward because India has not done particularly well in the pageant. Over the years, not a single Indian delegate has won the title of Mister International.